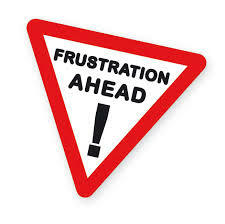 This can be the most frustrating part of a Knoxville Short Sale getting the short sale packet to the lender. The first thing my team does when we list a home for sale that is going to be a short sale is call the loss mitigation department. We confirm the correct fax number and then we fax the authorization to release information about the home. By doing this prior to having an offer it gets a file setup on the property with the loss mitigation department. Just this simple process can take up to a month and will save valuable time once you do have an offer. It has help us get our homes closed quicker . Once we do have an offer on the home we fax the complete packet to the lender. Then from this point forward it is following up with the lender every couple of days to verify they have gotten the short sale packet. We also verify at this time that they have everything they need from us in order to process our files. We continue follow up with the loss mitigation department until it gets to the next step the negotiator. During this process files get lost going from one part of the loss mitigation to the other. So it isn’t unusual for us to have to submit the packet several times prior to getting to the negotiator. This is Part 5 of how to achieve a successful short sale in Knoxville, TN. It takes a train professional like myself with the CDPE designation to help guide a distressed homeowner through the short sale process. As a CDPE we are up to date on all the latest trends and changes that are going on in order to help homeowners who may be facing foreclosure.